Sovereign Metals Ltd (ASX:SVM) received an endorsement from Bell Potter this morning, when the broker tagged the small cap graphite explorer with a BUY (speculative) recommendation. Bell Potter initiated coverage on SVM with a 30 cent target price. This is well above the current share price of 10 cents and translates to an expected total return of 200%. It should be noted here that broker projections and price targets are only estimates and may not be met. Also, share trading patterns should not be used as the basis for an investment as they may or may not be replicated. Those considering this stock should seek independent financial advice. Sovereign Metals is looking to develop its unique 100%-owned Malingunde Graphite Project in Malawi with the goal of simple, low cost production to undercut peers. SVM have completed a scoping study on its Malingunde Graphite Project, which indicates the potential for a project to become economically viable. The key outcomes of the scoping study were low capital expenditure, low operating costs, and a high quality product. It defined a resource base shown to be adequate for 17 years mine life. Bell Potter found the Malingunde Graphite Project to be “a very attractive one based on a geologically special graphite deposit in Malaw”. It highlighted the natural advantages of the deposit, particularly the very shallow and soft, yet still extremely high grade mineralisation. This, along with its low cost, gives it major mining and processing advantages over its peers. 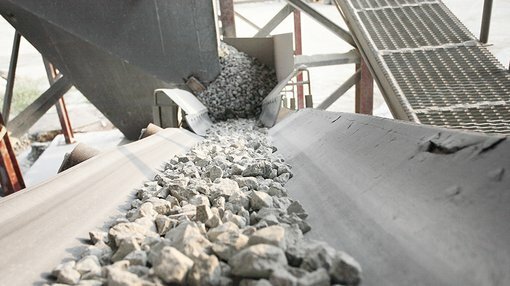 The company has sector-leading low costs that are underpinned by low strip ratios (low relative amounts of waste material), high grade and the lack of higher cost crushing or grinding of the soft ore.
Bell Potter highlights that the project has development capital expenditure of just US$29 million. This reflects the small scale of the project thanks to high head grades and management’s decision to produce a manageable ~45ktpa of concentrate. The absence of a crushing circuit and the proximity to infrastructure helps keep capital costs low too. SVM is set to be a low cost producer well positioned to get market acceptance ahead of higher cost production from peers. The broker determined that as a low cost, easily fundable and high quality producer, SVM with its Malingunde graphite project, is extremely well placed to undercut and outstrip other potential peers. Since completion of the scoping study the company is now getting ready to commence a feasibility study. Newsflow is expected to add value as SVM looks to develop and de-risk the project as it head towards production. Assuming all goes to plan the company could be mining graphite at Malingunde in 2020.